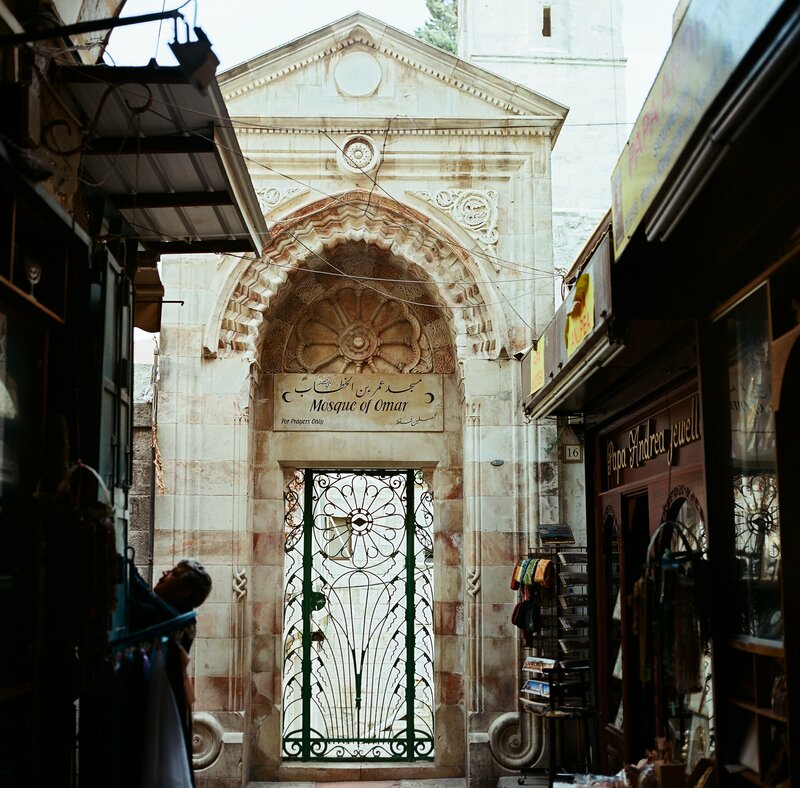 The mosque of Omar is situated immediately next to the Church of the Holy Sepulchre. After the Siege of Jerusalem in 637 victorious Caliph Omar visited the Church of the Holy Sepulchre where he was invited him to pray inside the Church. Omar declined so as not to set a precedent and thereby endanger the Church’s status as a Christian site. Instead he prayed outside in the courtyard. The Mosque of Omar was built in its current shape in 1193 in memory of this event.